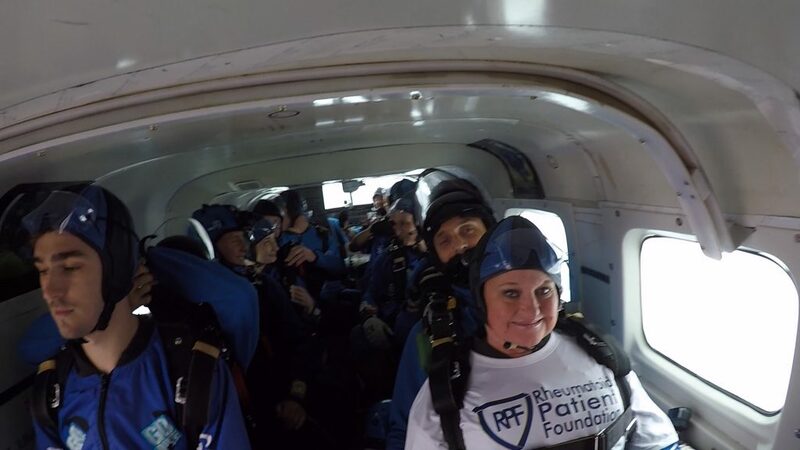 As you may recall, Rheumatoid Patient Foundation member, Anja Gilmour, set out to do a charity skydive benefitting RPF earlier this year. Through her fundraising efforts, she was able to raise over $2,600 for RPF! Way to go, Anja! 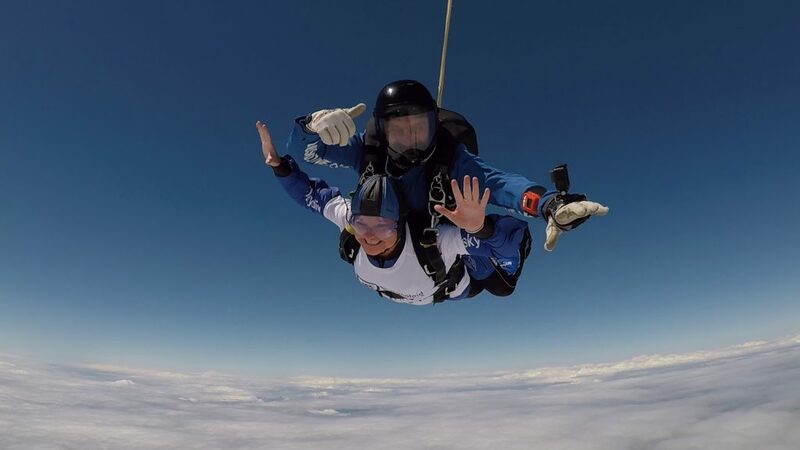 The skydive took place in England in August, and you can view a video of her jump below. After the fundraiser was over, we wanted to do a follow-up interview with Anja to hear more about her experience in organizing a fundraiser, and as a way to offer some encouragement and advice for anyone else who is interested in setting up their own fundraising event. Check out Anja's skydive video and interview below! 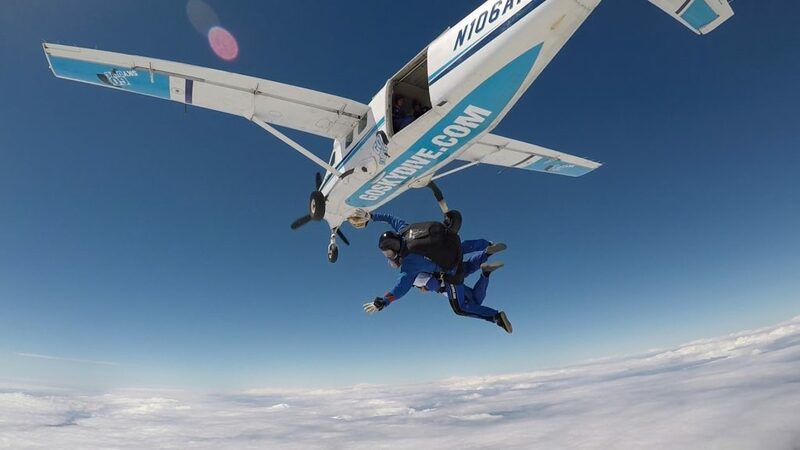 First, tell us about your experience of doing another skydive -- but this time at 15,000 feet. Was it scary? Fun? Both? I guess you could say a little of both. But, as I had done this last year (though at 10,000 feet), I knew what to expect so I was probably more excited. I was also really excited about not only having my instructor recording the experience via his wrist cam, but having a photographer jump out with us to take footage from another vantage point. 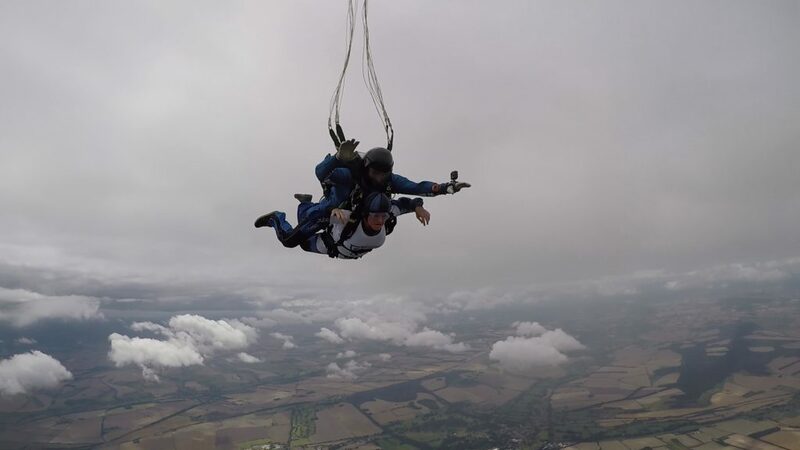 Free falling at 125mph and having another person (the photographer) come so close to you that you could touch him was amazing! I do remember, though, that when the plane kept climbing and climbing before it was time to exit, I was thinking "okay, I think we must be at 15,000 feet already!" It's a long way up! Another special experience on that day was that there were many clouds so far below us that it definitely gave me a different and even more beautiful perspective during the free fall. The company I jump with in the UK, GoSkydive, made this experience so wonderful for me as they did last year. They are very professional, supportive of people who are jumping for a cause and are fantastic in making you feel safe, secure and confident. The same instructors and personnel were there as last year which is a sign that they must be doing something right and you can definitely see that on the faces of people who had just done a jump! What were some of the challenges you faced in running a fundraiser? Well, when you work full time, are having periodic problems coping with your RD, and are trying to be successful at a fundraiser, it can be challenging. I worked very hard for this fundraiser but can honestly say, I would do it again without hesitation! Though I'm average at using the computer (but primarily for my bookkeeping business), I had to learn more about social media, how to do a website, etc., and find different ways to keep people interested and engaged. Another challenge was fundraising for two different charities in two different countries, though both having the same goal for Rheumatoid Disease issues. I ran into many roadblocks trying to use the usual fundraising tools such as JustFundMe, GlobalGiving, GoFundMe, Crowdfunding, etc., as I could not get any of them to work with me in having two different entities in two countries. It was quite frustrating. So because of this, I ended up directing individuals who wanted to donate to each charity's donating page, and found that many people had a hard time navigating this via internet, which is something you don't want a potential contributor to have a problem with. What was the most fun part about doing a fundraiser? 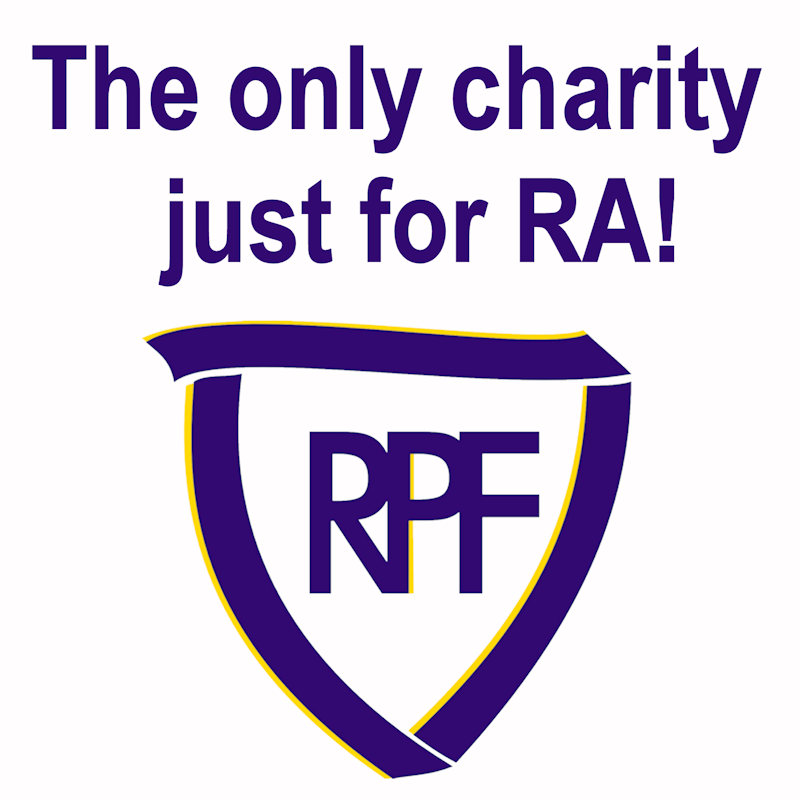 Getting to know you, learn more about RPF, the people of the UK organization, NRAS, and being so excited that I found both organizations to fundraise for, and to see that there are a lot of people trying to get more awareness out there about this very misunderstood disease. It was also a "buzz" for me to hear when someone wanted to contribute (or did contribute) to a cause that is so important to me. Also, if I can be selfish here, doing the actual skydive was such a thrill for me! There was a brief moment during my free fall that I thought "Wow, I'm doing this for my fundraiser and how wonderful!" I am really hooked on skydiving now, though my husband thinks I need therapy! But, as one of my friends so correctly said the other day, "no, I think skydiving IS your therapy!" I am already making plans for my next jump in 2018. 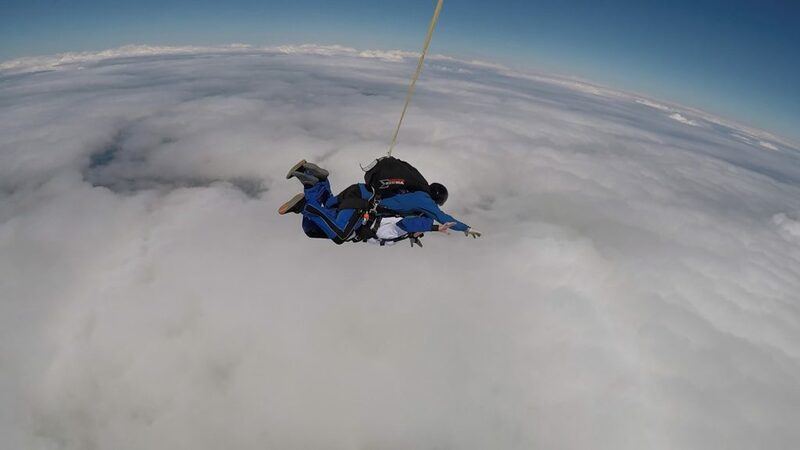 What kinds of reactions did you get from people when you told them you were going to do a skydive to bring awareness to rheumatoid disease? The reactions were all positive. I do have to say my rheumatologist and spinal surgeon think I'm nuts (I'll have had a spinal fusion after this blog is posted! ), though both approved me doing the jump. My family and friends were very excited that I was going to do this and were proud of me and let me know that doing it for a cause I cared about and that affects me greatly was truly a wonderful thing. I didn't get one negative comment and felt very fortunate for all the support. My biggest supporter was my husband, Alastair. He never complained once how much time I spent on the fundraiser and was such an emotional strength to me during times of difficulties, whether there were problems with some of the fundraising aspects that I spoke to him about, or having issues with dealing with my RD, but most importantly, supporting me in my love for skydiving. What unique experiences and opportunities did you come across as a result of doing this fundraiser? Oh my goodness, there were so many. First and foremost, I think that this fundraiser actually benefited me more than anything else. 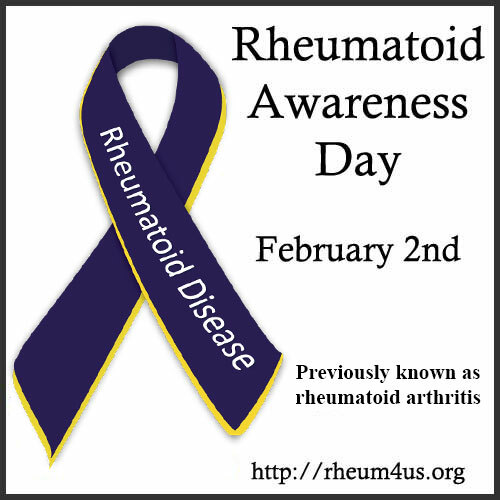 It got me in contact with people who also suffer from this disease and helped me feel that I was not alone in dealing with it. Though I have tremendous support from friends, family and my doctors, if you don't have RD that's been pretty aggressive and hard to manage such as mine, you really can't understand the daily challenges. As your new campaign of billboards is going up around the country, it is true what they say on them: RD is "An Invisible Disease". We who suffer from this disease may "appear" to be just fine at times when we really aren't. And, I think that many of us have learned how to "hide" our symptoms, which actually we shouldn't do. Through this fundraiser I have finally learned not to "pretend" I'm okay when someone asks, "how are you doing today?" If my day is bad, I'll now say, "I'm not doing so well...my RD is acting up terribly". And now when I say that, I don't feel guilty anymore. It's actually been liberating and nothing to be ashamed of. What would you change in your strategy or process if you did another fundraiser in the future? That is probably one of the hardest questions! I really don't know what I'd do differently. I tried very hard to get local media involved, UK media involved and it proved to be very unsuccessful. And this was a disappointment. Though, saying that, I currently have a local health show news person that is very interested in this story and would like to do a segment! Maybe one thing I would change would be to have more people helping me as I did this all on my own, and that was quite exhausting. But, I feel I did the job I set out to do and am pleased with the results. What advice would you give to someone else who is interested in organizing a fundraiser? Make sure you are doing a fundraiser for a cause you truly believe in, because people will see your passion and desire to do something good. Make sure to go into it 150% and nothing less. I think passion is the key word here. You must be passionate about fundraising for a cause. And you must do something along with the fundraising that you thoroughly enjoy to get people interested and for you to enjoy along the way, e.g., me skydiving. 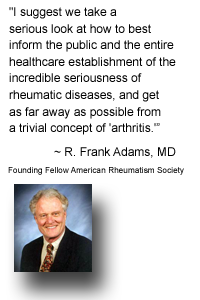 Thank you, Anja, for all your hard work in bringing rheumatoid disease awareness to new heights! If YOU are interested in starting your own fundraising event, please contact us!